This movie is about a U.S. and Japanese joint military experiment that takes place on a small Island off of Japan. The experiment is to test a chemical that can turn salt water into purified water so that it can become a safe drinkable source of water. The experiment is supposed to be carried out on a salt water lake on the Island, but the military is getting a lot of resistance from the Islands natives who claim the military will wake O-baki an ancient monster lives in the lake. 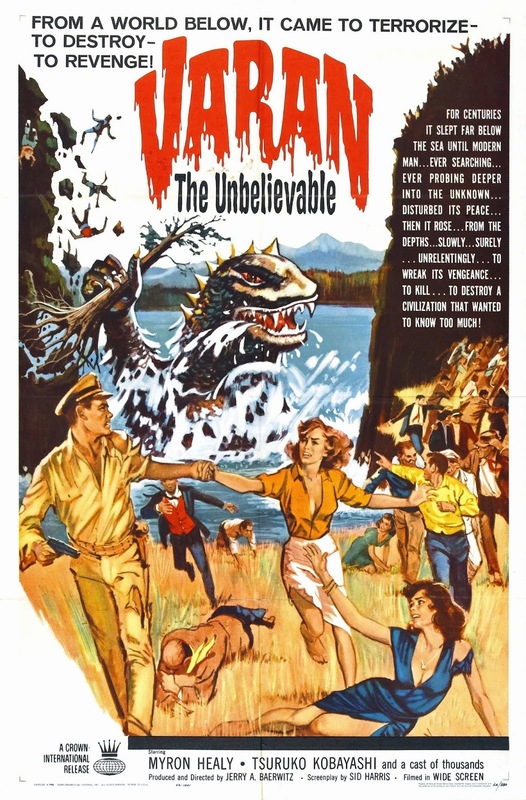 O-baki is what they call Varan in the English version of this movie but he is more commonly known has Varan, so I will refer to him as Varan. Hey everyone this Kickstarter was recently brought to my attention Hail To the King: 60 Years of Destruction. This is a documentary that will cover the 60 year history of Godzilla and have a ton of footage from Japan, interviews with cast members from the Godzilla movies and much much more. The goal for this Kickstarter is $8000 so far they are at $4005. They have 16 days left to reach their goal and it would be huge if they made it. Please support this Kickstarter as best you can you can donate as little as $1 and please help spread the word to support once you do. We helped World War Kaiju reach their goal lets do it again for Hail To The King! Click Here to support! 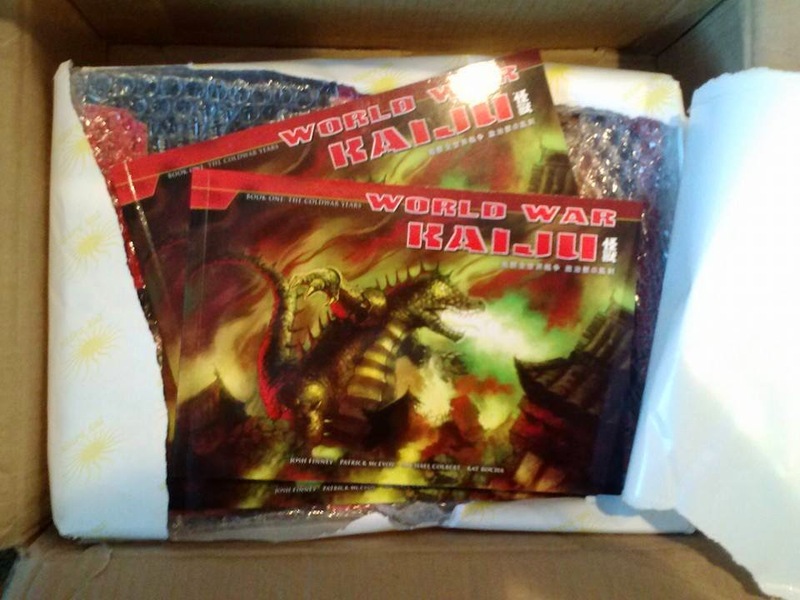 The latest World War Kaiju email update that went out yesterday had a picture(seen above) of the final product and stated that the graphic novels are expected to ship sometime during the first 2 weeks of August. This is great news I can't wait to get my copy in the mail. Don't forget to pre-order a copy if you haven't yet! 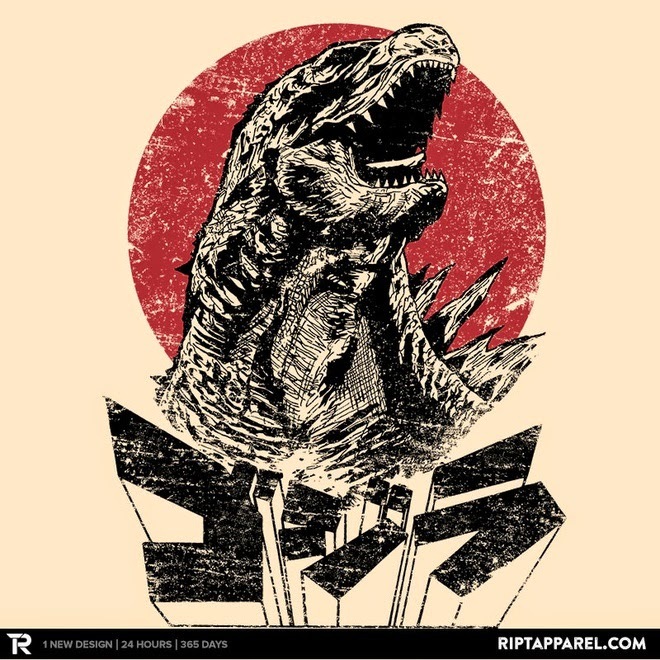 Awesome Godzilla Design Available on Ript Apparel Today Only! Run of to Ript Apparel to get this awesome Godzilla design on a T-shirt, baby clothes, hoodies, whatever you want. Today only looks awesome! Here is the link. Movie Appearances: Ultraman Episode 1 "Ultra Operation #1"
The episode starts with two orbs flying through space approaching earth. The blue orb crashes into a lake and the red orb collides mid air with a science exploration ship. Inside the science exploration ship was Hyata, who is part of a science investigation team. The Red orb then surrounds Hyata and takes him away. Inside the orb is Ultraman and we learn that he was chasing a monster named Bemular. Bemular was in the blue orb that crashed into the lake. Ultraman then apologizes for crashing into Hyata then sacrifices himself to save Hyata's life by joining together as one. Hyata's team arrives at the lake after finding out he was in a crash. Shortly after the team arrives Bemular rises from the lake. Hyata then informs his team that he is still alive and begins attacking Bemular with a submarine bellow the lake. The rest of the science team joins the attack from the air so that Bemular is being hit from above and below. Bemular then captures Hyata's submarine in his mouth and tosses it on land. Bemular then blast his blue fiery breath at the submarines and it becomes engulfed in flames. Hyata then raises the pod that Ultraman gave him to turn into the giant Ultraman. Ultraman then battles Bemular the two wrestle around for awhile and the fight is close. Bemular retreats back into the lake and attempts to escape in his blue orb back into space but Ultraman destroys the orb with his ray blowing it into pieces. 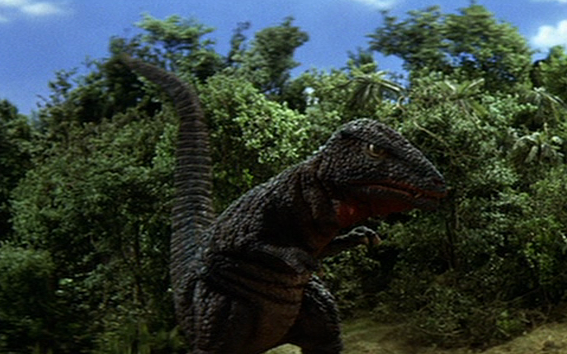 Godzilla Island's 100th Post and Updates! Hey everyone this is the 100th post and I have a few announcements. First I plan on watching and reviewing every episode of the the Ultraman series. 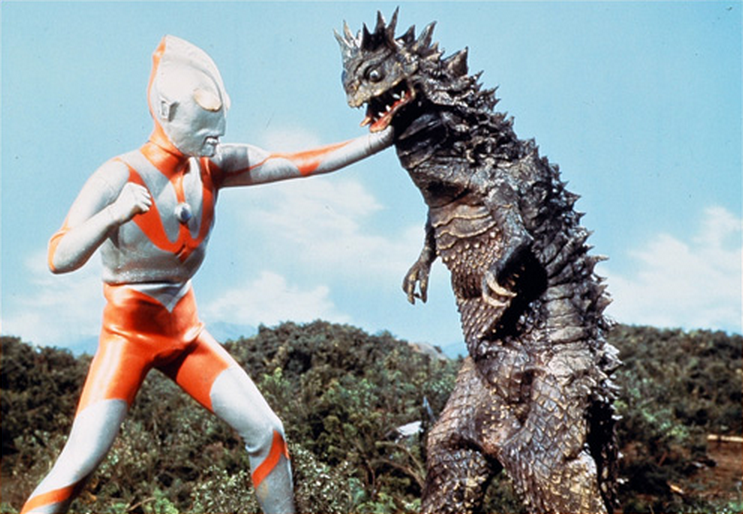 On top of reviews for Ultraman I will be doing Monster Profiles for the kaiju from each episode. I will also be watching and reviewing each episode of the Hannah Barbera Godzilla Animated series and the Animated Zilla series. 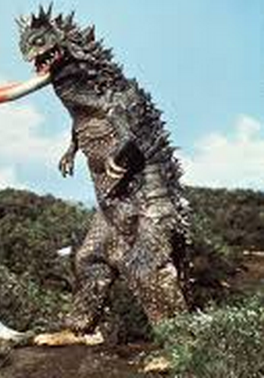 Also like the Ultraman kaiju I will be doing Monster Profiles for the kaiju from that series also. I really enjoy doing the Monster Profiles and I think they are nice addition to the page. All these television show reviews will be going up on the new T.V. Reviews tab that will pop up soon. Also if you have not seen it yet I have the How It Should Have Ended video for Godzilla 2014 from the HISHE YouTube channel after the break. Thank you for reading and I hope you enjoy. Here is the footage of the Death Battle. I will link the actual video once it is uploaded to the Screw Attack! channel. Pretty awesome battle one that we all have dreamed of seeing. 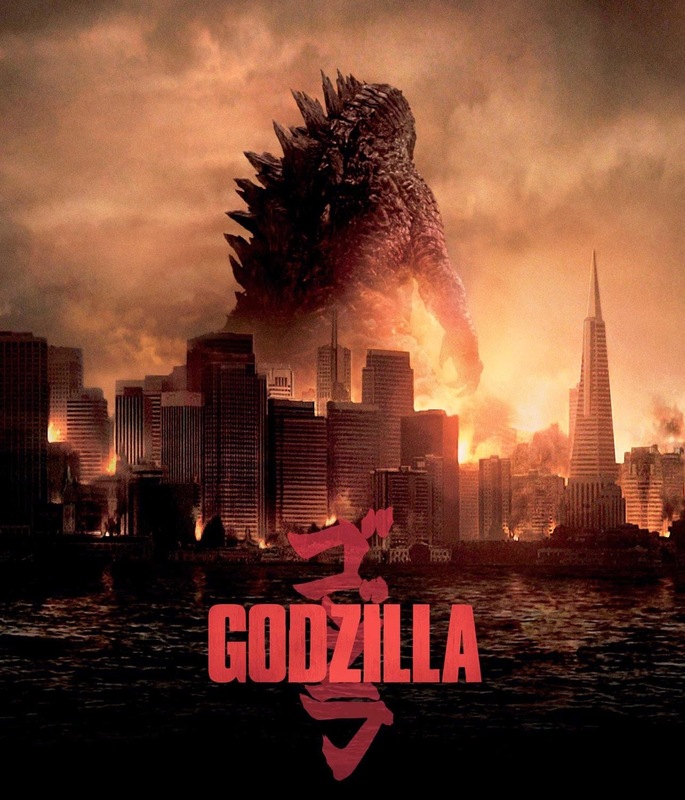 The Pre-Order for the latest Godzilla film by Legendary is now available on Amazon. I would go for the regular Blu-Ray/DVD set even if you don't have a Blu-Ray player it will be worth the extra $4 to have if you one day own a Blu-Ray player. Hey everyone I have been away on vacation for a little over a week now and I am back. Hopefully I can get back to posting more content on the site over the next couple of days. While I was gone theyetee.com was selling a few Godzilla related T-shirts, they are an awesome site to check out daily to see all different T-shirt designs. 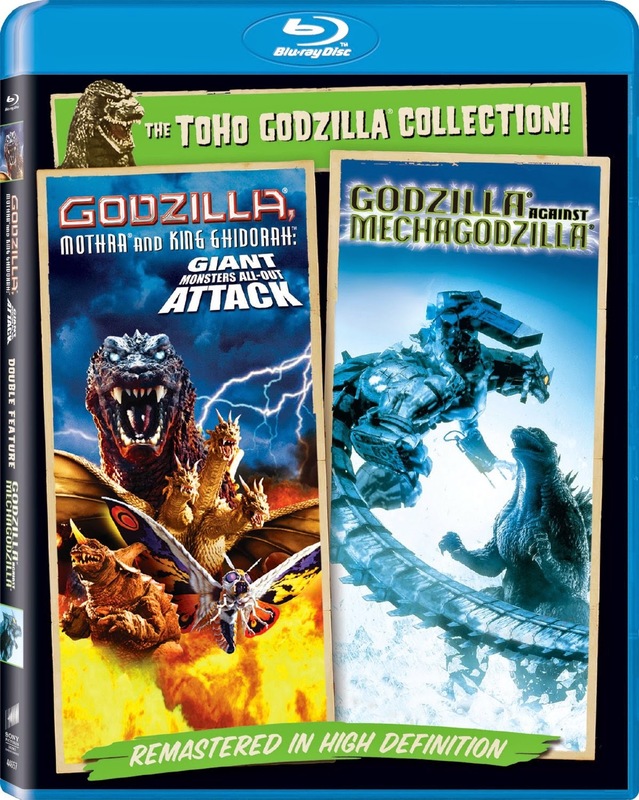 The biggest news while I was gone was that Scifi Japan announced that Sony will be releasing Godzilla 2000, Godzilla Against Mechagodzilla, GMK, and the Rebirth of Mothra trilogy on Blu-Ray/DVD. 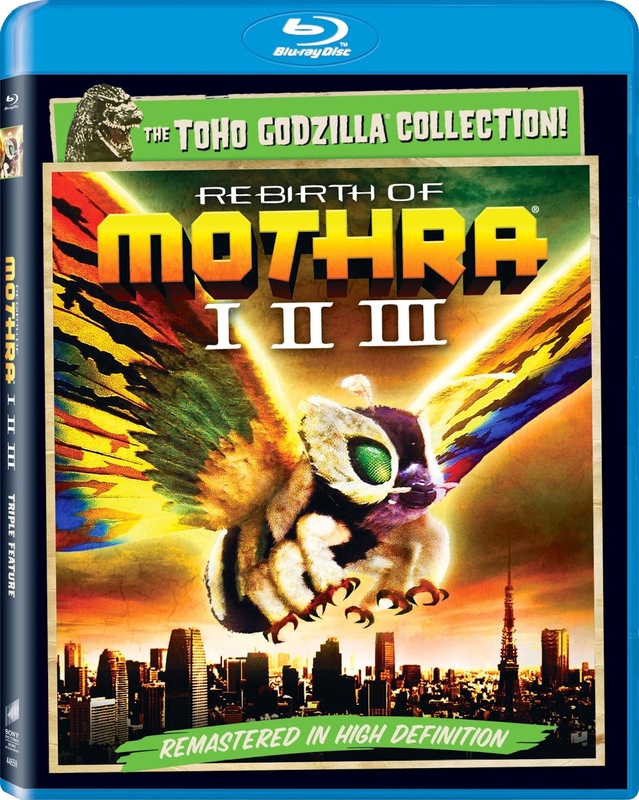 This is awesome news because this is the first time Rebirth of Mothra III has got an official release on DVD in the United States. These releases are slated for September 9th which is only 9 weeks away so keep an eye out for pre-order opportunities I will let you know as soon is they are available to pre-order on amazon.